Hi Cuckoo colleagues! What a lovely photograph —well done! 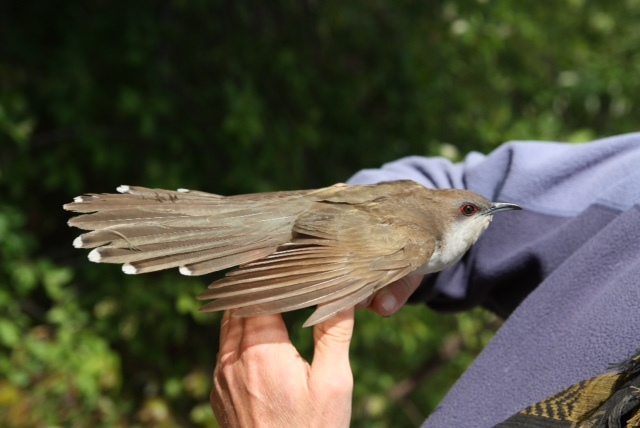 You may already know about the small but interesting article on the BBCU (poorly studied apparently) in Bird Watch Canada – Summer 2015 – under Species Profile (last page). The good news (for once) is that the BBCU population has remained relatively stable in Canada since 1970…but had declined by as much as 80% farther south in the USA. Perhaps the BPBO should consider starting a study re: BBCU life history, ecology and population demography?